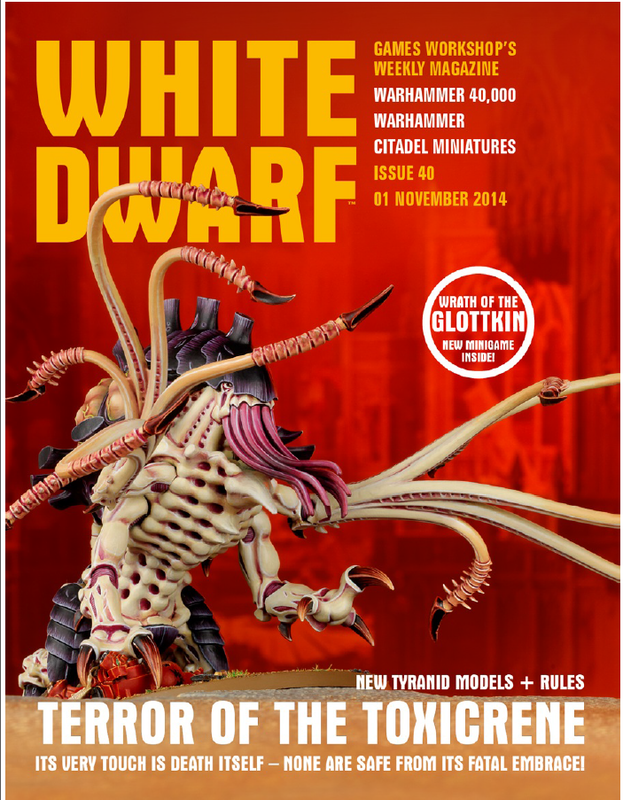 This week's White Dwarf is out, officially releases the new Tyranid MCs. There is also a hint of more to come in the Opening Salvo segment: "here come the Tyranids for a second bite out of the Imperium! And with this week's first new release being the terrifying Toxicrene... joined by the Maleceptor." This weekend, Chandler and I are planning on a gaming day and getting a true 7th edition game in. With the impending release of two new Tyranids, I figured I would go ahead and add them to my list to give them an early field test. With just over two months left in the year, I thought I would take a look back at my resolutions to begin the year as well as some likely resolutions for 2015, particularly those taking advantage of my excel model trackers. First, let's look at if I've accomplished my goals for this year. It's been a few weeks, but we picked up this week's White Dwarf and I thought I'd do a quick first look. 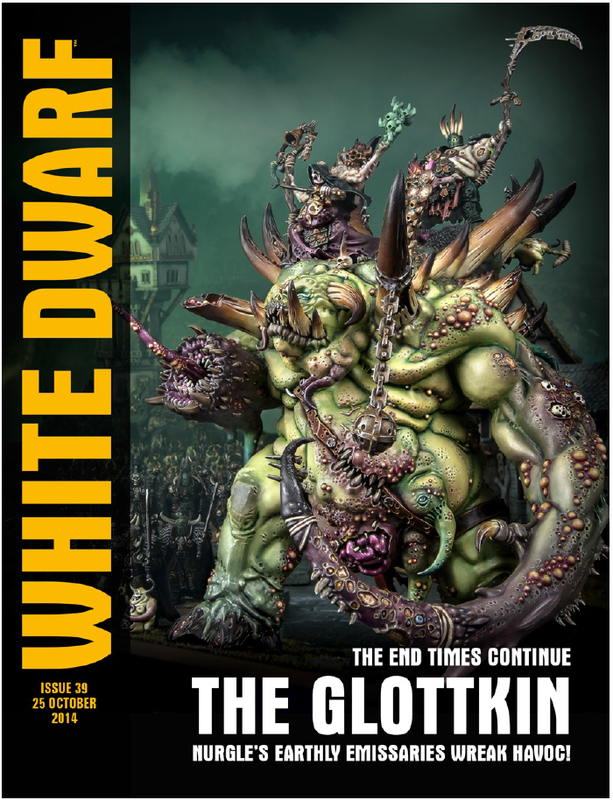 This week's cover features the new massive mini for the End Times series, the Glottkin. Recently, I have been in a painting slump because of School, Work, and Life. 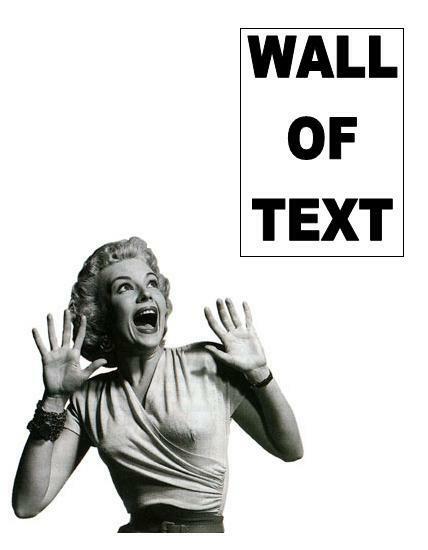 This happens to everyone during their hobby life, and mine finally caught up to me. There is one aspect of the hobby that I can do every single day, and not feel guilty, and that is dream up of lists. Today on my way into work, I started to think about a special list. A list that would see the greatness of thousands of years of service rolling onto the field in one special army. If you all have been paying attention to my posts and know my armies, then you know the list I am talking about. 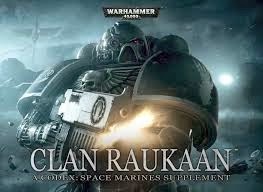 It is a Special Multi CAD army looking to bring the Dreadnoughts of the Space Wolves and Iron Hands to the field in a Glorious Walking Ancient list. So I present, the Walking Ancient Multi CAD List. 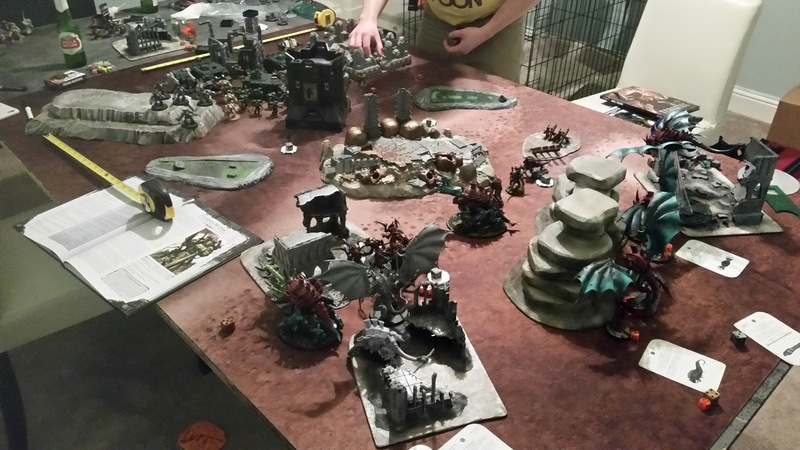 My buddy, Will, is in town this week and last night, despite it being a weeknight, we had a little gaming night, broke out the minis and the scenery and rolled some dice (and flipped some cards). While hanging out at NOVA, I had been talking up Malifaux, so to begin the evening we wanted to get a quick game in. Having only played once I was not the most effective teacher, but we threw together two 25SS Crews and dove in. A couple weeks into the new Dark Eldar book and I think the jury is still out as far as how they will do as a solo force. 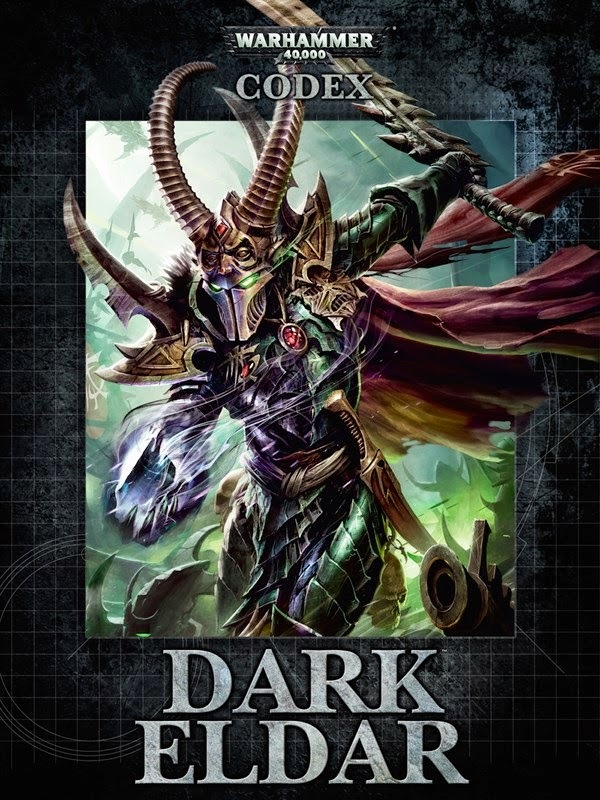 Despite any controversy about Dark Eldar on their own, I think just about everyone agrees that the new book has very powerful combos with the already powerful Eldar. In this list build, I'm planning on keying on some of that, taking well known and strong Eldar units as an "allied" backbone to the army (the Eldar are more than half the points in this list). After NOVA and watching some other events, I wanted to put together a list of rules that are often forgotten, overlooked, or implemented incorrectly. These aren't necessarily the unclear rules that have debatable interpretations, but instead those that might have changed in a minor way across editions or are obscure enough to be overlooked. 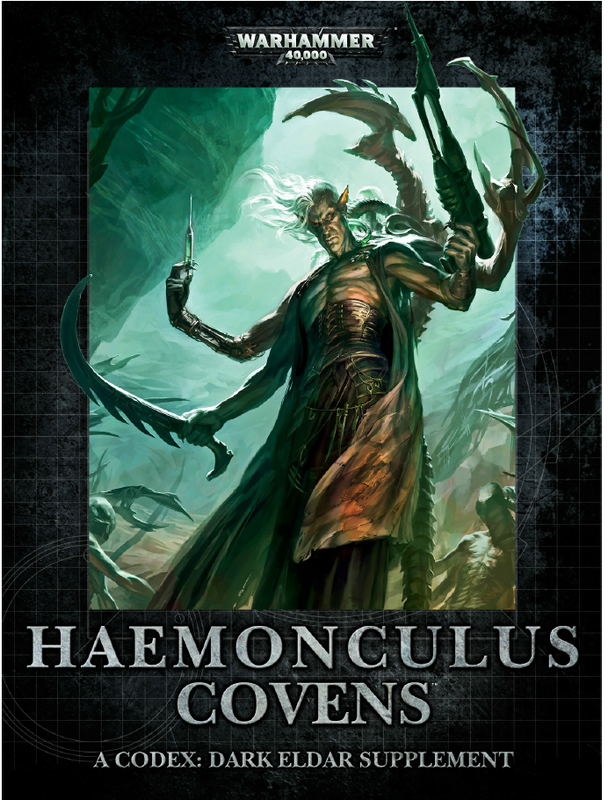 The Dark Eldar's obligatory supplement is out, focusing on the Covens of the Haemonculi and their minions. Without further ado, let's take a look at the rules. I wanted to share my experiences with a commission painter and the thought process that went into my decision to allow someone else to paint my models. Firstly, I am an old school 40k player from way back in second edition. The people I used to game with back then didn't place a huge emphasis on painted models, We were more interested in getting them put together and on the table playing games as fast as possible. What's up everyone? So a couple of days ago, I put together a list that had a lot of heavy armored vehicles with Logan Grimnar in there for fun. 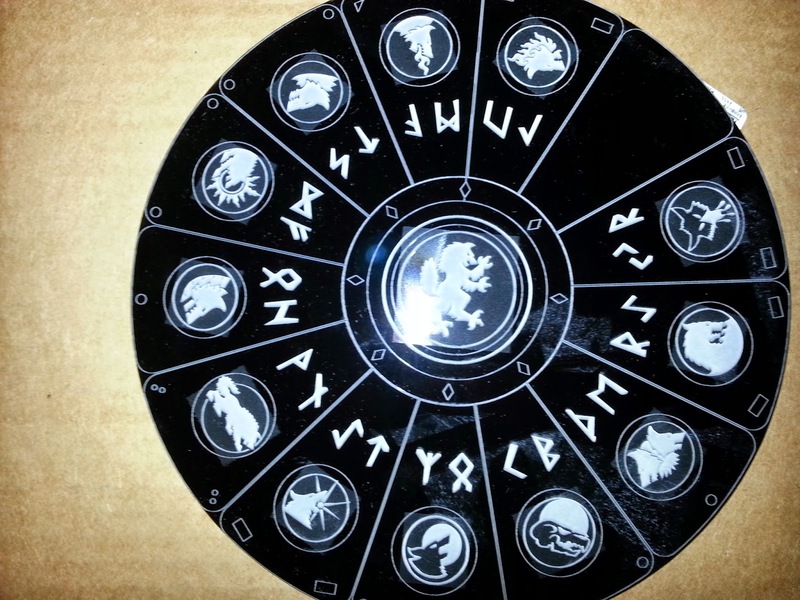 It was an awesome list that looked at the Great Company of Egil Iron Wolf. With a major slump in painting, modeling, and converting happening right now, I decided to take a different approach. I decided to take some time and just make lists; little mind experiments to see from the fluff what a Great Company might look like for Bram Redmaw, Egil Iron Wolf, and what models would be needed for these lists. So this is the first step in a personal challenge for myself. 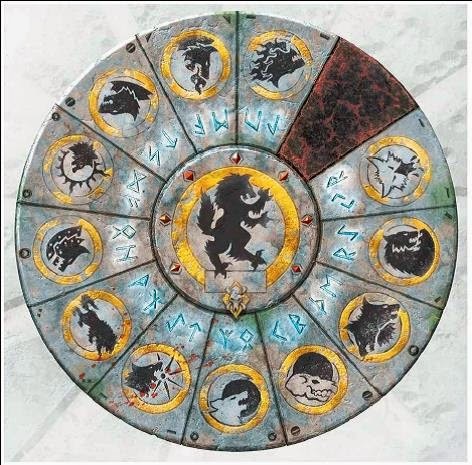 I am going to create a series of lists, posting them on here for feedback into fluff, design, and over all feel, figure out what is the key model or models for that army, and then have at least one representative model that I could place on the field so that all 12 Wolf Lords, their signifier model (like Egil in a Land Raider directing it on a battle field). What's up everyone? This week on the Podcast, Evan, Bryan, and Chandler run down the last couple of weeks since NOVA and what they have been working on. Evan talks about the success and failures he had at NOVA in the Trios and the GT and Chandler talks about his experience within the GT. Fun Stories, Awesome People, and AMAZING ARMIES, all ahead on this episode of Facing the Grey Tide Podcast. The Boys are Back and ready with stories, Enjoy! After running quickly through the updated rules, I couldn't help but throw together a list that uses a bunch of the elements of the new Dark Eldar. This is by no means the most optimized list, but has a lot of things that I think can work well, as well as some models I personally don't like going without. 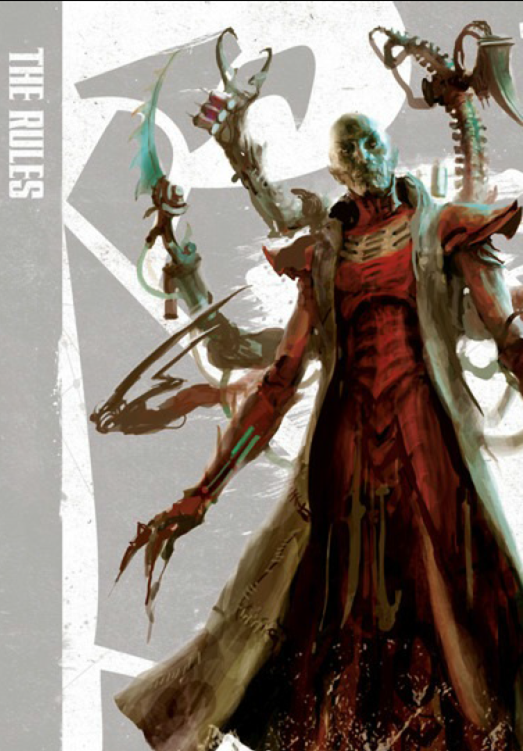 The new Dark Eldar book is out, and while the internet rumbling seemed pretty negative and hopeless, I'm still pretty excited about the new book. I'm not going to say they're a new powerhouse or anything yet, but they still have wonderful models and a sinister feel. I mean, good lord that's some nice cover art. For now, let's look at the rules, since that's what we're all curious about. I'll go through the units and then look at wargear and army special rules. My newest Torrent of Fire article is up and this time I took a quick look at the games in the last month since before NOVA. Thanks to NOVA, the number of games recorded in Torrent of Fire just about doubled. 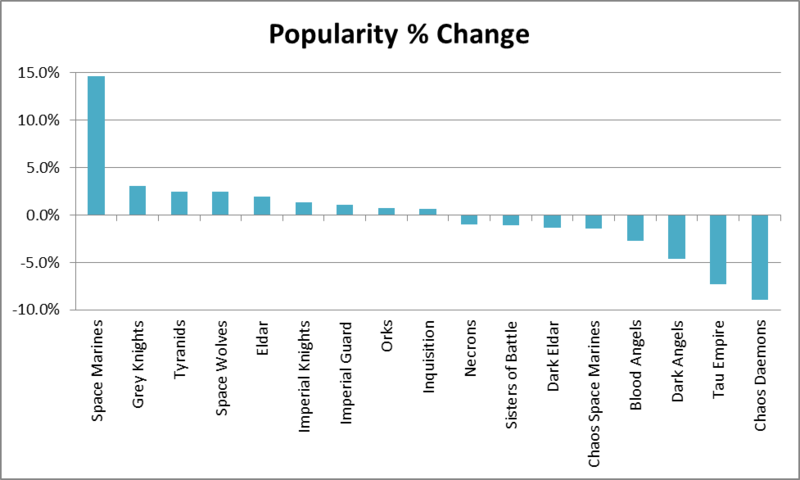 I also decided to compare popularity of armies between NOVA 2013 and 2014. With the number of games, we now had enough 7th edition games to look at some quick matchup data. Check out the full article on Torrent of Fire.